Congratulations to the Royal City Track and Field Club athletes who have qualified to compete for their respective highschools at the BC High School Track and Field Championships June 4-6. Good luck to RCTFC athletes Emily Chilton, Brianna Bates, Jenevieve Patry-Smith, Devin Strome, Grace Fetherstonhaugh, Lauren Vanee, Shea Janke, Ryan Jensen, Gavin Fan, Jeremy Belcher and Jack Foster! 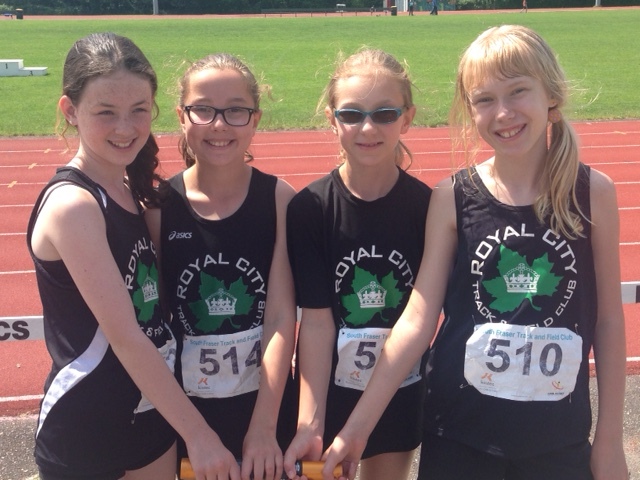 Royal City JDs win big at South Fraser Junior Olympics Meet! An outstanding 24 JD athletes represented Royal City Track and Field Club at the May 16-17 South Fraser Junior Olympics Trackmeet at Bear Creek Park in Surrey. Performances by all of the athletes contributed to Royal City Track and Field Club placing 5th overall out of the 22 competing track and field clubs at the meet. Congratulations to all of the athletes who participated in the meet for accomplishing their own PBs and wins! 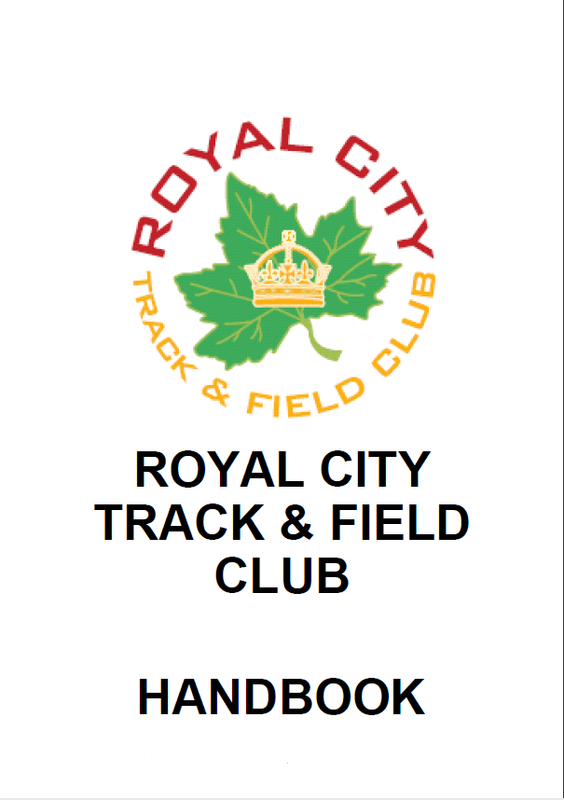 Special recognition to Kenan Burrows, Annika Yong, Kaitlyn Biedka, Nicole Blatherwick, Katherine Martin, Noah Duke and Levi Tuura for competing in their first trackmeet as a Royal City Track and Field Club athlete and accomplishing personal best performances in their events! Congratulations to all of the athletes for their hard work at practices paid off! Three athletes represented Royal City Track and Field Club very well at the Centennial Meet in Kamloops May 15-17, medaling in throws and competing to finals on the track. 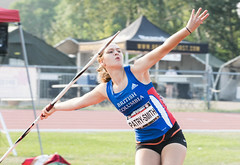 In the 12-year old boys’ category, David Patry-Smith took the gold medal for his shot put throw, while 14-year old sister and teammate Jenevieve Patry-Smith won gold in the midget category for her discus throw of 29.78 (a PB for Patry-Smith) and also won gold in shot put and silver in hammer when she threw to 36.17 (also a PB). Jenevieve also won the javelin event beating both the field of midget girls and the midget boys with a PB throw of 39.70. Also in the midget category, teammate Brianna Bates took silver for her javelin throw, just shy of 30 while she also competed well on the track, making it to the midget finals in the 100m with a PB of 13.62. Congratulations to the accomplished trio! RCTFC athletes Emma Dolman, Maxwell Jones and Ryan Jensen started the track season off with strong performances in the field and on the track. Competing in an impressive array of events, Dolman took bronze in the 1200m for 2002 girls, 4th in high jump, 4th in the 300m, 7th in 80m hurdles and 7th in the 800m. Her performances included 4 personal bests. Teammate Maxwell Jones’ highlights were a gold medal in pole vault for 2001 boys and bronze in long jump (both pbs). All in all, Jones had 6 top 8 finishes for 6 events which included his gold in pole vault and 3 bronze medals total. Ryan Jensen’s peak performances included winning bronze in triple jump for 2001 boys, 4th in 200m hurdles and 6th in 100m hurdles. Congratulations on a strong represent for Royal City Track and Field Club!